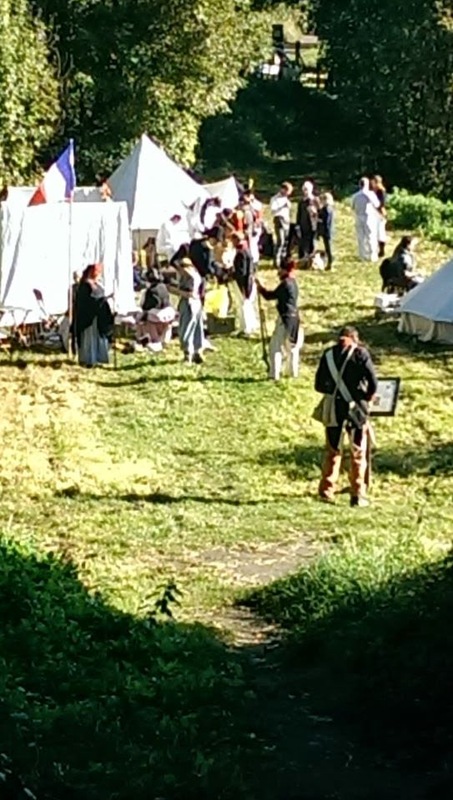 Left foot forward (a journey into reenactment): Dover III. 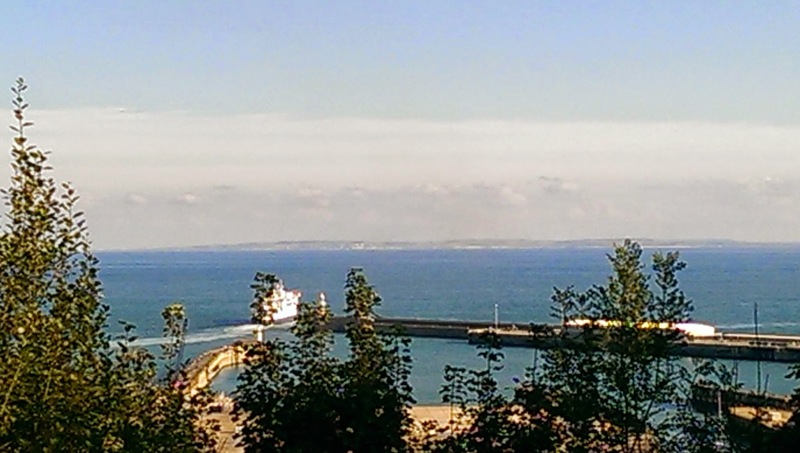 Third time off to Dover! I had been working late the night before so this meant I had not been able to go for the Saturday and camp over, and so was arriving on the Sunday morning as were the rest of the 45th, already set up by the British as I arrived.. I said my hellos and sorted out some last bits of kit, trying to find a convenient place to stick my bayonet (other than in an Englishman), I still need to get a proper holder. Then their was a march up to the top display area and a bit of drill infront of the crowd. Then marched back for a spot of lunch before the afternoon skirmish. Food wrappers/plastic bottles are starting to become a bit of a bugbear for me when people are eating, because it is usually just as the public are milling around. Drinks at least could be poured into tin cups or appropriate holders and food emptied onto plates but other than whipping away empties I would feel a bit awkward making a fuss. 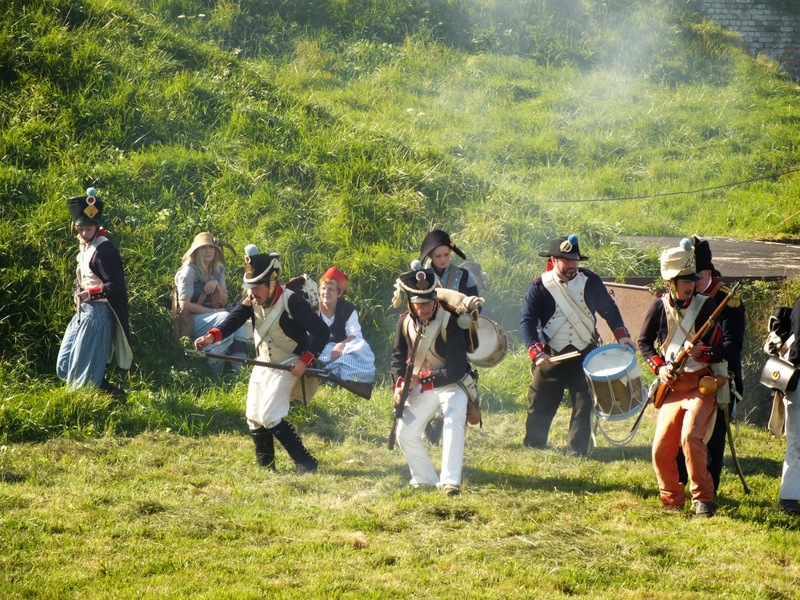 The usual redcoats (79th Highlanders, Highland Light bods, and 1st Footguards) were joined by a few Riflemen, including two friendly faces from Amherst. 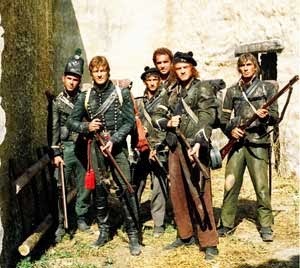 The rifles make up a large number in the British camp but also draw a lot of flak because they often outnumber the redcoats and Sharpe gets blamed for their popularity! I was surprised at how much a member of public disliked them and said they'd come to take over the event. I would never have joined the Rifles personally but they are not going to turn people away and I'm sure there are some amongst them who also tut at would-be-sharpes just as US Airborne re-enactors proably tut at people who joined up to be in 'Band of Brothers' yet find themselves refering to the show when explaining things to the public. Actually re-enactment Riflemen are never this scruffy! The afternoon skirmish was pretty much a re-play of last time, we emerge and take out the guards before seising the fort.. I got to do my 'Rise up people of Dover! Let me hear you cheer!' speech which went down quite well. It was a good crowd given the only sunny day that weekend. We then skimished with the British coming on. After my first shot I seemed to misfire every other attempt and considered changing the flint but thought most of the brief battle would be over by then. Duncan and a couple of the others chased the rifles off with a charge then said 'When you've fired, you can follow us down.' I nodded. then thought he said 'When they've fired you can fall down.' Which was it? I was half way up a big grassy embankment so falling down seemed the more apt and so after a couple of shots did a dramatic death, rolling down to the bottom of the slope. With plenty of cartridges left over a couple of us chose to fire off a few rounds for fun, I changed my flint and promptly fired four shots in a row. I wished I'd done that before the skirmish and in future will put in a new flint everytime. Will ask for a bag of flints for Xmas. Oh Non! we've missed the ferry home.